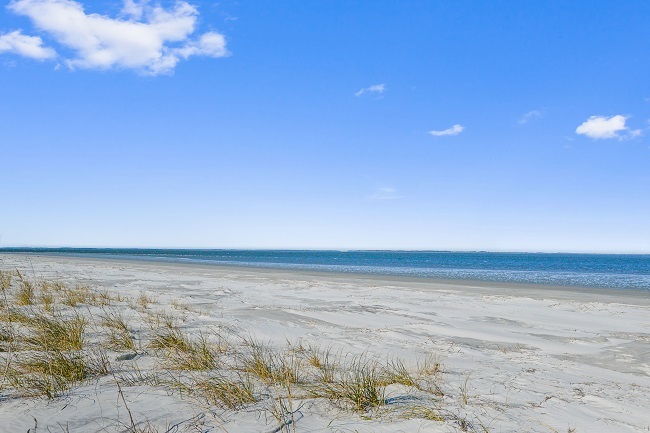 M-213 Ocean View Villa is located on the private beach community of Harbor Island, South Carolina. The “M” building is near the island’s amenities, and is accessible via Harbor Drive. The island of Harbor neighbors Hunting Island State Park, and the town of Ladys Island. This two bedroom, two full bath condo has an ocean view, and overlooks the building’s pool. 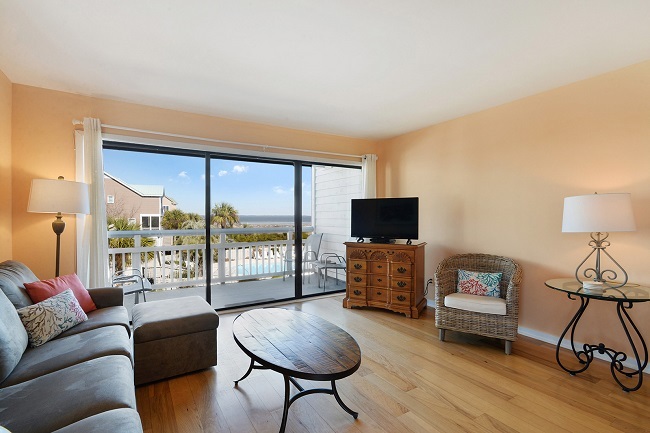 It has beautiful flooring, tasteful furnishings, and has everything you may need to have a great beach vacation. 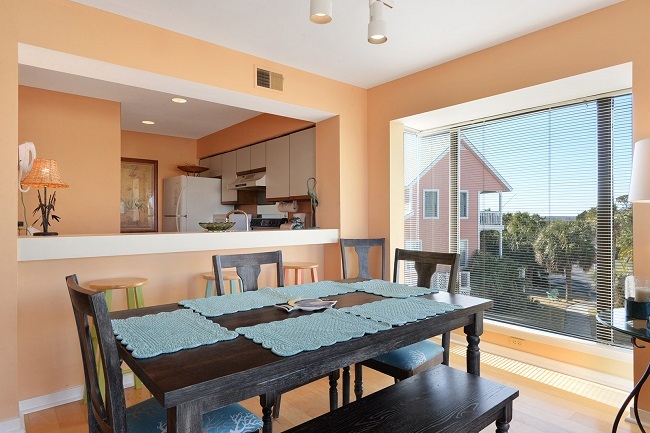 There is ample seating at the dining table, as well as the breakfast bar. The condo offers a fully equipped kitchen. It also has a stackable washer and dryer, WiFi, and fresh bath and bed linens. A flat screen cable TV, two armchairs and a comfy sofa are welcoming in the living room. 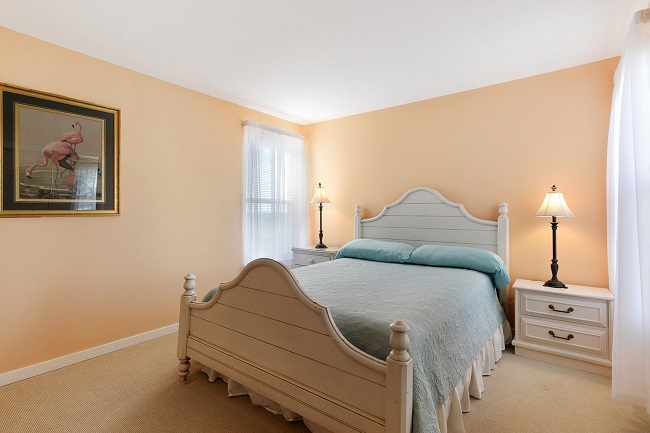 The master bedroom has plenty of dresser and closet space, and a full bath is right across the hall. It also has a comfy queen size bed. The second bedroom enjoys two twin beds and a full connecting bathroom. 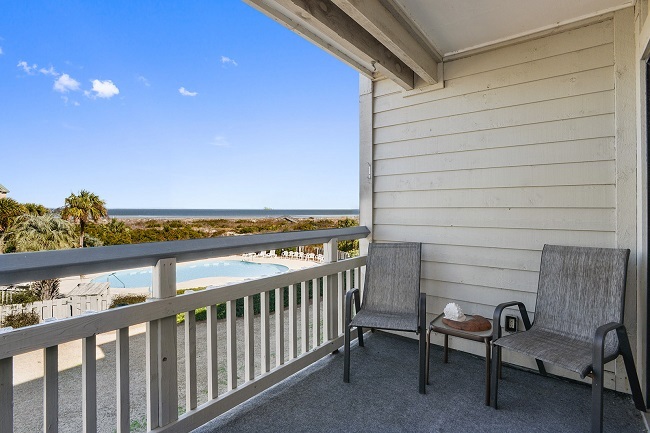 The open porch has a beautiful ocean view. Relax with a book, or go to the building’s community pool, which is only steps from the condo. Just a couple of minutes will get you from the boardwalk to the beach.